This year, we have introduced Digital Leaders. They are responsible for helping to deliver the eSafety message to their peers and developing and promoting the use of technology throughout the school. Most recently, they helped to deliver Purple Mash training and they are currently planning for our eSafety day. Look at our blog on Purple Mash for more information. In Spring Term we had an amazing drone day! We were visited by a company and coded mini flying drones to land in targets. We applied our knowledge of coding, angles and measure and played a giant game of Drone Darts! 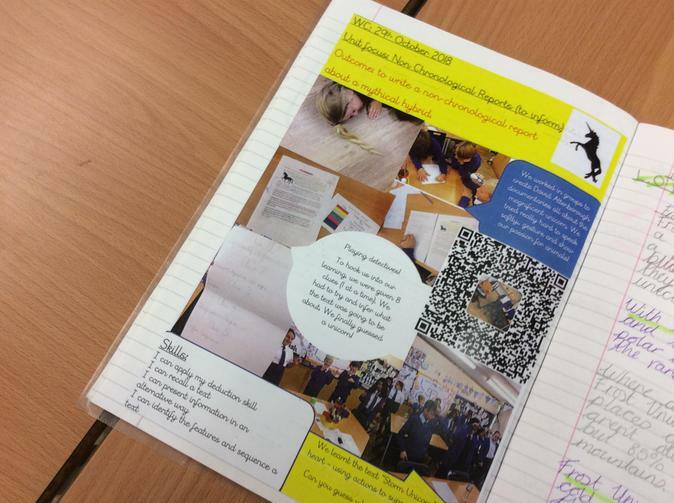 Whether it's Maths, English, Topic or Science we love to use ICT across the curriculum. 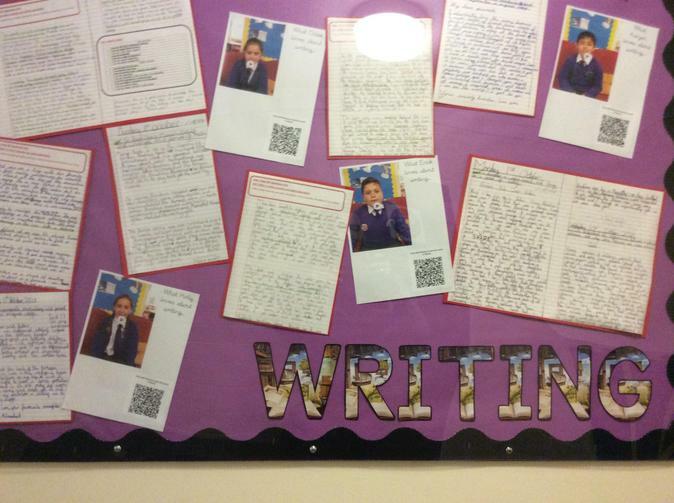 Below are some examples of how we use QR codes around the school and in our classrooms. QR codes can be used to provide a link to online websites, we also use QR codes to save our work to our online portfolio called Seesaw. At Bedgrove Junior School we believe computing should play an important role across all curriculum areas. We learn important computing skills, alongside using technology in other curriculum areas to enhance children’s learning and build children’s digital literacy and eSafety skills. In Topic and Science lessons we love using an app called Google Expeditions. The classroom can be transported to anywhere in the world, past or present! We can become microscopic and explore the human body or become rocketeers and travel around our solar system! This awe inspiring resource enhances the way children learn in a revolutionary way. We also encourage the use of ICT at home as a vital tool for learning. Mathletics, Times Table Rockstars, Accelerated Reader and Purple Mash are just a few examples of websites we regularly use to bridge learning between the home and school. Using these familiar sites at home gives children the opportunity to extend, enhance and explore their current learning across all subject areas. We know that using computing gives children the opportunity to engage in learning through new and exciting ways. Moreover, the computing curriculum at Bedgrove Junior School helps children become ready to be confident, informed explorers and contributors of our ever increasing digital world.